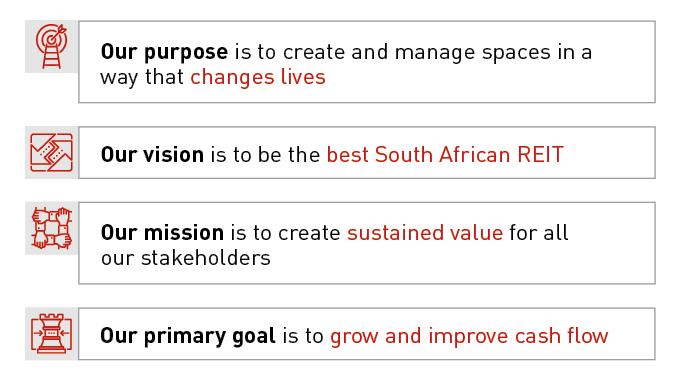 We believe that to create sustained value, we must do it from a place of purpose. We're not landlords. We're people. From our purpose and values to our interactions with all our stakeholders – how we conduct ourselves daily is what sets us apart. We believe that it is our unique and focused approach to relationships that enables us to create and sustain meaningful value for our stakeholders. We formulate our business strategy by using our material matters as our guiding principles.